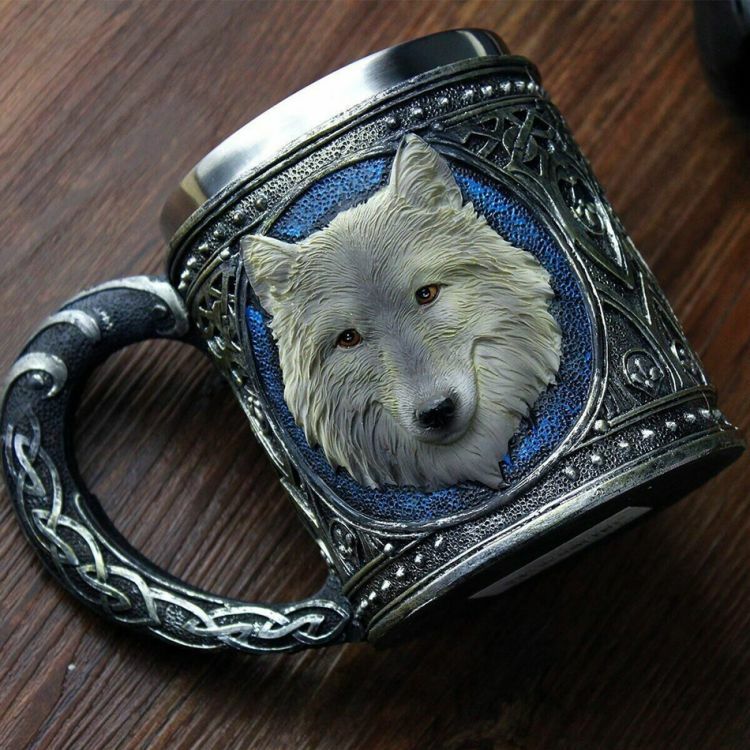 This awesome drinking tankard has a hand-painted metallic finish and features a relief image of a Gothic dragon on either side, knot-work encircling the bottom, and a green and gold dragon`s head and neck as the handle. This stainless steel inner liner to keep your drink cool or hot. It's recommended to hand wash to keep the mug looks great. This fantastical tankard makes a great gift for dragon lovers sure to be enjoyed! There is some glitter powder on the surface of the mug, it's a normal phenomenon that the powder will be off a little.